Summarize the benefits of notifications and auto acknowledgements. Set up various workflows by using rules for automation. Customize reply themes and signatures. 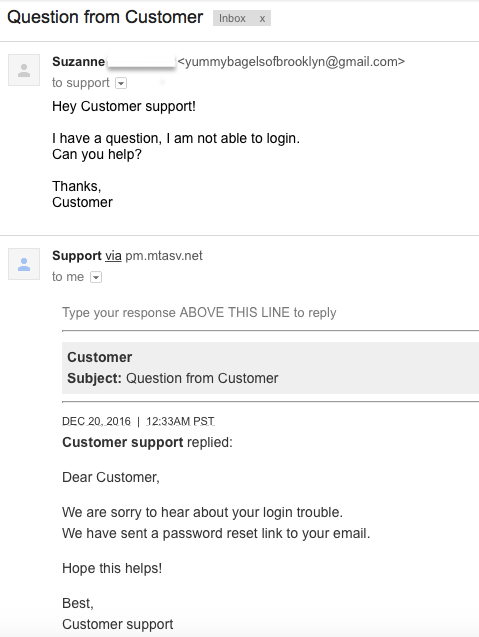 When you’re setting up your support process, it’s important to let your customers know that you’re listening. Letting your customers know that you’ve received their questions and you’ll get back to them in a timely manner goes a long way. It’s also important to let your agents know when a question has come in. With a preconfigured setting to send an auto acknowledgement, it’s as easy as a click of a button. Within the Admin console, in the top navigation, click Cases. In the side navigation, click Rules and then Inbound Interaction. A rule named Send Auto Acknowledgement Email is available by default. Move the toggle to On to activate it. This rule sends an auto acknowledgement to the customer if they have not received one in the past 24 hours. The rule condition for Hours since last Auto ack is necessary to prevent email wars, where two auto responders email each other infinitely. All set—and what a simple way to gain customer service points! 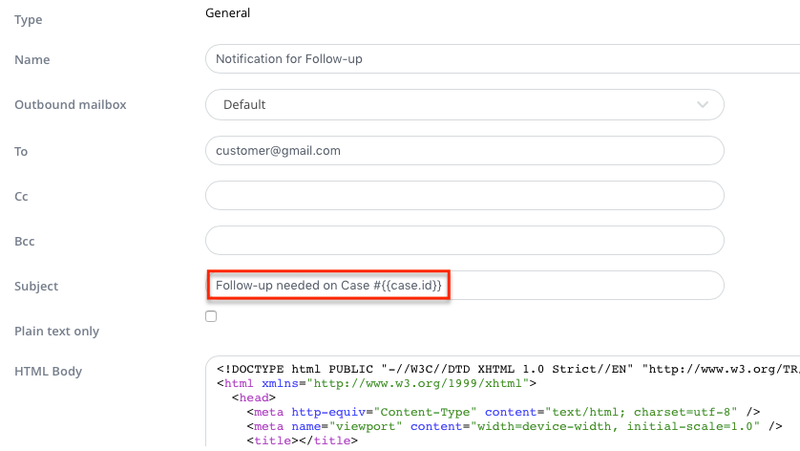 Let’s look at how we can use a preconfigured rule to notify your agents when a new interaction is received on a case. Every time your customer emails you, the rule will trigger and notify your agents. In the side navigation, click Rules and then select Inbound Interaction. A rule named New Interaction Notification is available by default. Move the toggle to On to activate it. This rule sends a notification to your agents whenever a new email is received by the system. You’re all set, it really was that simple. Service manager Andrej wants to ensure his service reps John and Alis keep on top of their cases. He knows that they handle a large number of case every day, so Andrej needs an automated workflow to help them follow up with the customer. Andrej sets up a time rule that reopens cases that need a follow-up after a specified time period. It sends a notification email to Masamba and Alis to keep them informed. 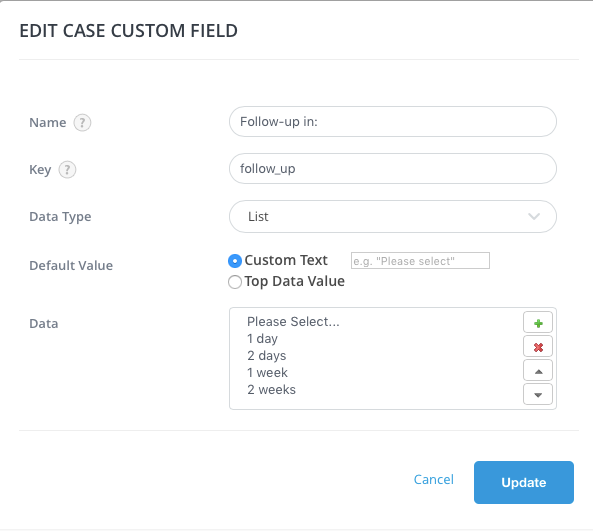 Create a custom case field. Let’s set this up for Andrej! All set with our custom field. Next we create a custom notification. We got our notification ready, our final step is the time rule to send this notification out. 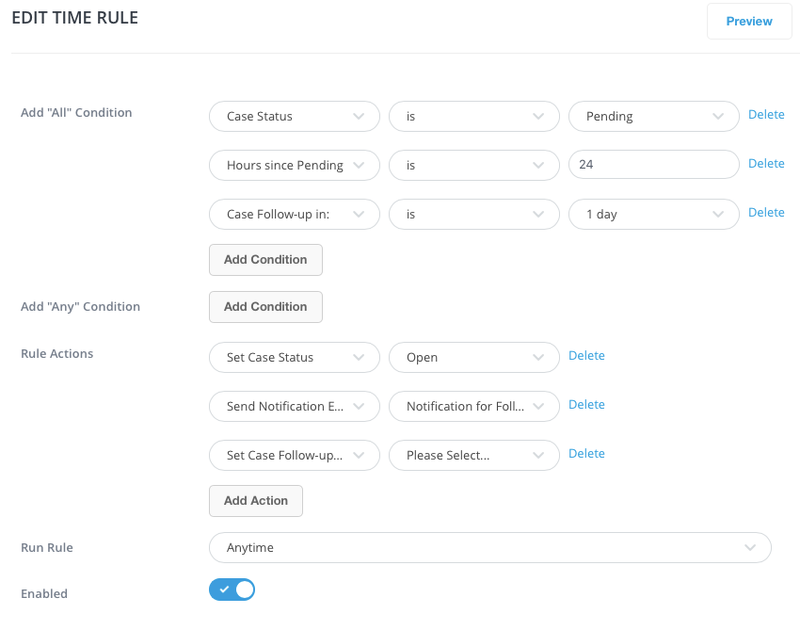 Go to Admin > Cases > Rules > Time Rule > click Add Rule. Name it Send Follow-up Notification 1 day. This rule sets the case status to Open and sends out a notification. It also resets the follow-up in field value to Please select. You must create a one-time rule for each value in your custom field (1 day, 2 days, and so on). Then change the rule conditions to reflect the accurate number of hours. 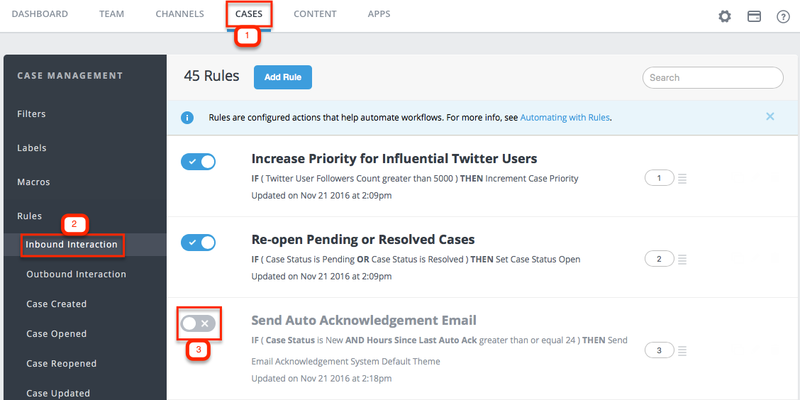 This rule is best combined with a filter to create a quick view of all cases that were reopened and in need of a follow-up. You can learn more about filters in the Desk.com Toolkit module. 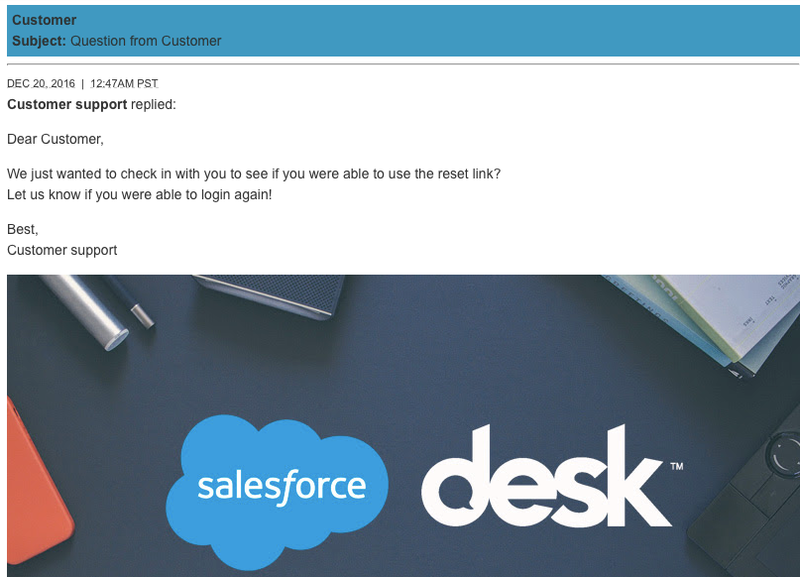 You can change the look and feel of the replies that you send from Desk.com. You do this with a reply theme. Desk.com provides a standard reply theme for all outgoing emails. 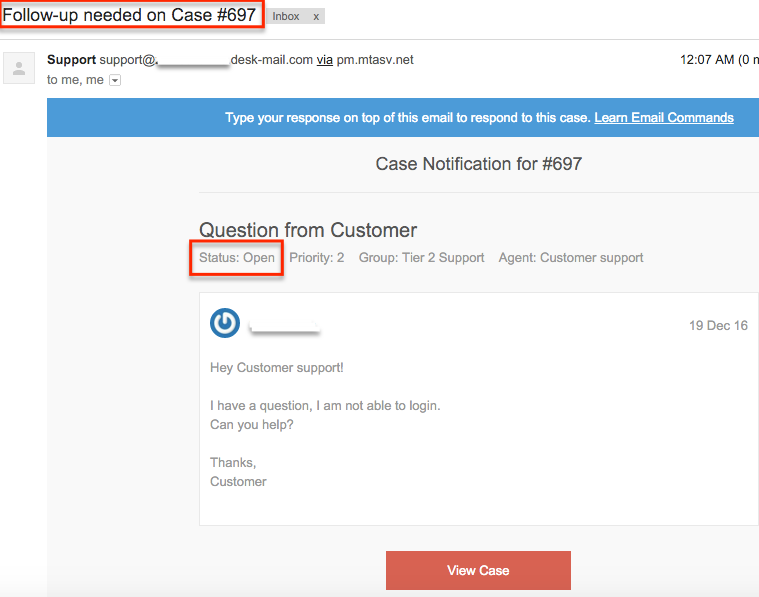 The theme is designed to keep all emails within a case thread organized, threaded, and ordered so your most recent response appears at the top. You can style your replies to better suit your organization’s font, color, and layout. Let’s create a custom reply theme that better works for Andrej’s team. And then make our new theme the default theme to make sure that our custom reply is sent out for all replies. Congratulations, you’ve put together a custom reply theme. We’ve learned how to set up a custom reply theme to change the look and feel of our replies. This can include any signatures you want to show within the replies you’re sending out. Desk.com has a built-in signature function so you can use HTML. You can find it by clicking the arrow next to your name in the classic agent desktop. Then select Settings > Signature. 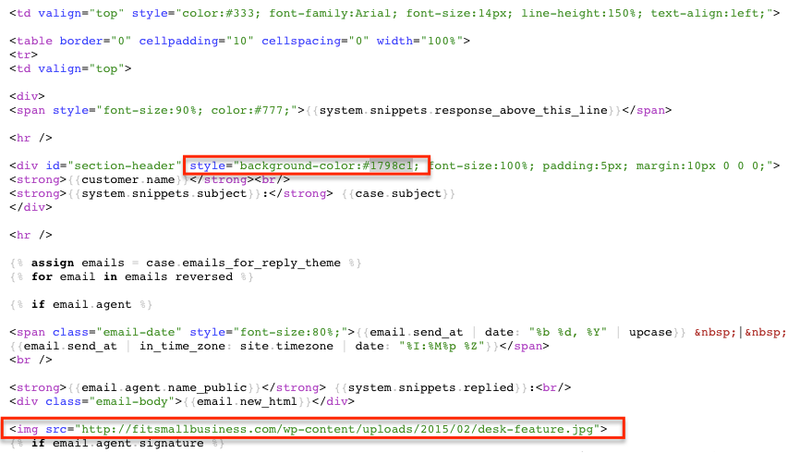 Any text or HTML added within this signature section is added to every email interaction sent from Desk.com. John and Alis each have their own signature setup in their agent desktop. They look vastly different! John went advanced and included detailed contact information, URLs, and a company logo. Alis choose a simple setup with only a company logo and “Best regards, Alis” signature. How can Andrej best consolidate his agents’ signatures to maintain one unified look for their signatures? Reply themes can override the built-in signature function in Desk. To solve the dilemma described here, Andrej can use a custom reply theme to gain control over his agents’ signatures, rather than letting each one of them set their own style. To find the public name of each agent, go to Admin > Team > Users. Next, create a custom reply theme, or edit an existing one. Go to Admin > Channels > Email > Reply themes > Your theme. Create a different When statement for each agent’s public name; you can use as many as needed. Use an Else statement at the end if you need a generic signature in the event that there were no matches. Fantastic job; that was easy! In the next units, you learn about automating actions with Desk.com rules.